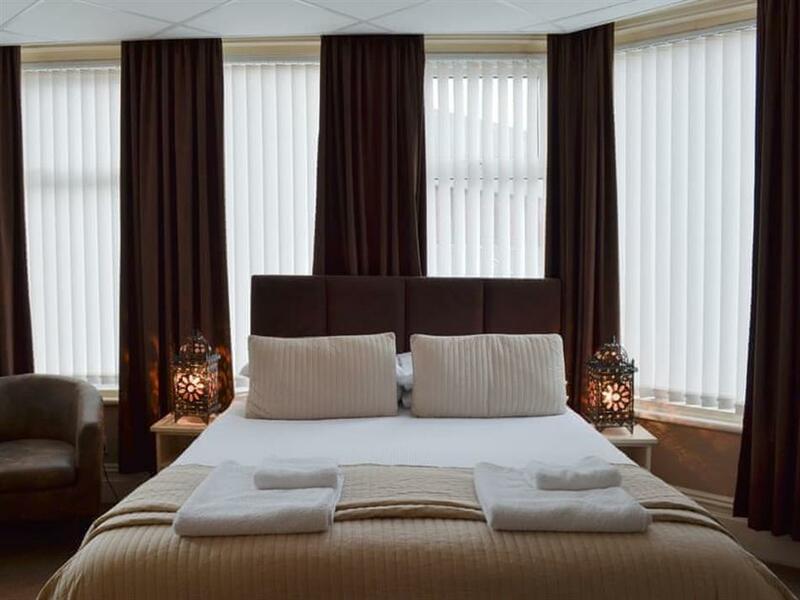 Cherry Tree House in Blackpool, Lancashire sleeps 14 people. Cherry Tree House in Blackpool was once a bed and breakfast as featured on Channel 4’s ‘Four in a Bed’; Cherry Tree House has been reborn as a fabulous self-catering property complete with hot tub and bar area, right in the heart of Blackpool. Perfect for fun loving families and groups wanting to spend time in this iconic seaside resort dating back to the 1800s, each of the seven bedrooms benefit from an en-suite shower room as well as a TV, mini fridge, tea and coffee making facilities and a hairdryer. In addition, plug sockets have been upgraded to include the all-important USB connection. With an abundance of award-winning attractions, Blackpool has something for everyone and it’s literally all on the doorstep. There’s white knuckle rides at Blackpool Pleasure Beach and the world famous Blackpool Tower, which is also home to the much loved Tower Ballroom, Tower Circus, Tower Dungeons and Tower Eye. There’s Blackpool Zoo, Sea Life Blackpool, Madame Tussauds and the sub-tropical paradise at the Sandcastle Waterpark. The Central Pier and sandy beaches complete with donkeys are just ½ mile from the property, and for foodies there’s a famous fish and chip shop just over a mile away as is a great ice cream parlour. Finally Blackpool’s Winter Gardens, one of Europe’s biggest entertainment complexes, is around ½ mile away. You really are spoilt for choice! 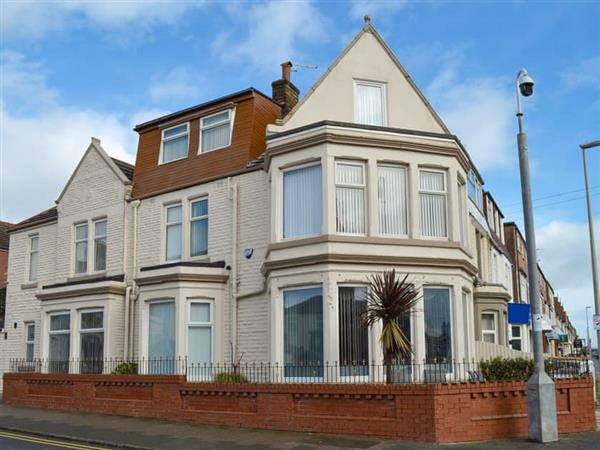 You will find the nearest beach ½ mile from Cherry Tree House in Blackpool. With the shop, pub and restaurant 350 yards from Cherry Tree House. Kitchen/dining room: With electric oven, 5-ring gas hob, microwave, fridge/freezer, dishwasher, washing machine and tumble dryer. Shower room: With shower cubicle, toilet and hot tub. USB socket and mini fridge in all rooms. Bedroom 3: With double bed, Freeview TV and en-suite with shower cubicle and toilet. Bedroom 4: With double bed, single bed, Freeview TV and en-suite with shower cubicle and toilet. Bedroom 5: With single bed, Freeview TV and en-suite with shower cubicle and toilet. Bedroom 6: With double bed, Freeview TV and en-suite with shower cubicle and toilet. Bedroom 7: With twin beds, Freeview TV and en-suite with shower cubicle and toilet. Gas central heating, gas, electricity, bed linen and towels included. Travel cot and highchair. Small sitting-out area with garden furniture. Hot tub for 6 (private). Private parking for 2 cars; parking permit for 2 cars included; additional public car park 500 yards away. No smoking. Holidays at Cherry Tree House run from Friday to Friday. For a better idea of where Cherry Tree House is, you can see Cherry Tree House on the map below. Cherry Tree House is in Lancashire; should you be on the lookout for a special offer, you can find all the special offers in Lancashire. It's always worth checking to see what is on offer at the moment. Do you want to holiday near Cherry Tree House (UKC3978), you can see other cottages within 25 miles of Cherry Tree House; have a look to find your perfect holiday location.